Training sessions are on as normal, over the Easter break, the only one cancelled is Sunday 21st due to the Epworth Triathlon using the pool. There will be no training on Monday 6th May, due to the pool being closed. In order for Club Champs/May Sprints events to run smoothly, South Axholme Sharks need a number of volunteers. If you can help in anyway please speak to member of the committee or sign up on the noticeboard. May Sprints are a fun way to find out how a swim gala works. The galas are open to all swimmers of South Axholme Sharks, and all swimmers are encouraged to enter. Over the two galas, 13 events will be swam for both boys and girls, the aim of the gala is for swimmers to put what they do in training into practice. Personal Best Times (PB'S) are what the swimmers are looking at, and if they can smash a club record along the way thats' even better. Venue : Epworth Swimming Pool. Entry fee : £3 per Gala ( not per swim as per other galas). Closing Date: 24th April 2019 ( both Galas), no late entries will be accepted. If you would like the entry forms please email: southaxholmesharks@gmail.com. If you are able to help, at these events please speak to a member of the committee. 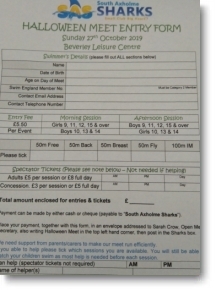 October may seem a long way off, but preparation for this years South Axholme Sharks Gala are well underway. Entry forms can be found on the noticeboard at the pool. Entries for the Gala open to other clubs on the 1st May 2019, however you can put your entries in to our Open Meet Secretary now. As some of you are aware swim meets are filling up very quickly so it is advisable to do it asap. All swimmers must be ASA Cat 2 but don't worry if you are only cat 1, you can upgrade at the pool reception any time before the Meet. Last year as a club we came 2nd to Top Club, this year can we go one better! The more swimmers we have supporting our Gala, the better chance we have! If you would like further information please speak to any member of the committee. Charlotte Wilson was the lucky winner of the Giant Chocolate Ostrich, announced at the Easter Fun night. Thank you to everyone who purchased squares. We still have some unclaimed raffle prizes from Friday night, if you bought raffle tickets but did not check them on the way out please see any member of the committee. Thank you to everyone who helped and supported our Easter Fun Night, as usual there were fun games, lots of noise and chocolate eggs for all who took part. Special Thanks go to Pete Smith who is the brains behind the games and controls poolside on the evening, but with out helpers the event would not run smoothly. Matthew Bond and Oliver Craighill. 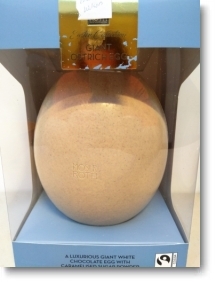 As part of our fundraising for the Easter Fun Night we are selling squares for a gigantic chocolate OSTRICH EGG. The winner will be announced at Fun Night Friday the 5th April. Squares are £1 each, but are limited, and are on sale from Monday 1st April at 6pm. If you are planning on coming to fun night but haven't already signed up, you have until Monday 1st at 9pm to do so. The club has purchased a number of Stretch Bands, to assist swimmers with their poolside warm ups, general strength and conditioning. Bands are available in different strengths of resistance depending on squad. Head Coach Stuart would like as many swimmers as possible to use the bands, and is planning a session in the sports hall on how to use them properly and to get the most out of them. Date to be confirmed. They are available now from Stuart or a committee member for a returnable fee of £5. ( Repaid once the bands are returned). If you would like more information please speak to Stuart. If your child has been promoted to the next training squad, you will need to amend your training fee, likewise if your child increases the number of session that they attend. Also if your child enters an Open Meet then they must be ASA (Swim England) Cat 2 before the event, you can upgrade this at the pool reception. easyfundraising is a great website where you can help South Axholme Sharks Swimming and Lifesaving Club raise funds simply by doing your everyday online shopping with over 3,600 big name retailers like Amazon, Argos, John Lewis, ASOS, Booking.com, eBay, Boden, and M&S. 13 swimmers represented Sharks at Doncaster Dartes Mad March Sprints. 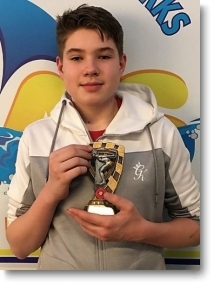 Leo had some fantastic swims, placing 1st twice, 3rd, 4th and 5th, in the 5 races he entered. Leo also gain 3 personal best times (pb's). Giving him a total of 21 points and topping the table in his age group. Please action the following items as soon as possible. Add your Mobile contact number to the Committee Maint page. Add your Photo to the Committee Maint page.